Located right at the foot of Kawah Ijen, 1 hour drive from Banyuwangi City, at the last village dominated by green rice terrace. It also be a base for some of sulfur miners that work in Kawah Ijen. Limited facilities provided, away from eating places, no public transport. 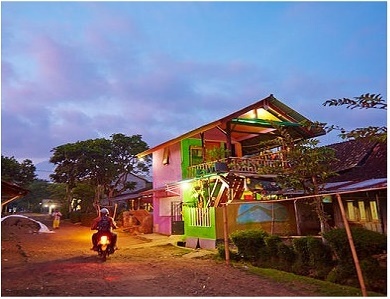 Very authentic stay for travelers who want to feel genuine Indonesian Atmosphere. It is own by Mr. Paing (Former Ijen Worker), very friendly host.